The 9/11 Commission came to New York the second week of May for a two-day set of hearings at The New School University. As hundreds of Sept. 11th family members, reporters and curious New Yorkers lined up for airport-style security checks, they received copies of a new 24-page booklet published by NY 9/11 Truth, with help from 911Truth.org. Feel free to download the PDF version and print it yourself. The booklet featured articles about the Kean Commission’s breathtaking conflicts of interest and complete failure to ask any of the questions about September 11 that really matter. Be advised that some of this material is out of date. 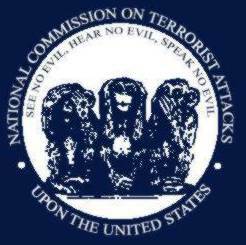 Most importantly, the timeline of air defense response in the appendix has been made much more complicated by the publication of The 9/11 Commission Report, which entirely contradicts the previous official chronologies released by NORAD, the FAA and the USAF.